The birth of fashion designing in world took place many centuries ago. 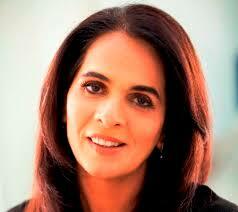 Anita Dongre, the Indian fashion designer has shown remarkable fossils. Born on 3 October 1963, Anita Dongre has established herself as one of the most successful powerful and prominent Indian fashion designer.She received her fashion education from a fashion designing institute in Mumbai. Her first step towards her success was when in 1998 she launched “And Designs India Ltd” (ADIL) along with her brother and sister, Mukesh Salwani and Meena Sehra respectively. Anita Dongre is also a member of PETA. She had an instinct from a very early age that she wanted to pursue her career in fashion designing. It was her passion and dedication towards her work that after completing her course in fashion designing, she created her own designs and supplied them to various boutiques all over in Mumbai for more than 12 years. They were so creative and new that everybody accepted it with a broad smile. And this was the reason which kept her moving on and on. She travelled to abroad many times and realized that if her creative designs could be accepted in Mumbai, than why not all over the world. Anita Dongre starts her own label AND. For the very first time it was displayed in Mumbai’s first mall, Crossroads. She is a lady of determination. All her labels which include And-the western wear, Global Desi- the mixture of Indian and western wear. Anita Dongre- the label by her own name which is famous for the bridal wear. Similarly many more are accepted all over the world of fashion designing. She now owns 550 stores in India which also includes the multi-brand outlets. Not just apparels Anita Dongre also deals with jewels and accessories. Her one of latest work is her label ‘Gobal Desi’ . She launches it last year in Mauritius. Through this she circulated her designs and collections all over the world making India proud for her. Her inspiration for her creative and magnificent designs has always been the Mughal architecture and the rich cultural heritage on India. She visits Jaipur very often and involves a touch of all in her designs and art. Through her arts she keeps the culture and the tradition alive among all. Being women, she has always encouraged other women to come out of their places and work for themselves and thus she provides employment to the artist women in Rajasthan and uses their art and work in creating her designs and creations for the empowerment of fashion designing industry. Her list of awards is endless. Every day she steps up another ladder of success. In 2007-2008 it starts. It is the year when her label AND was awarded as the Best Women’s Western Wear Brand. This inspired her a lot and it was impossible to stop her after this. It was in 2011 when Anita Dongre won the “Inspirational Designers” Award at the Wills Lifestyle India Fashion Week. She shared the year with another award, The Best Brand Ladies Western Wear in the Shoppers Stop Pinnacle Awards. According to the Fortune magazine, in 2012 she was one among the 50 most powerful women in business. She won the Excellence in Fashion Designing Award from the Federation of Indian Chambers of Commerce and Industry Ladies Organization in 2013.